The manufacturing sector usually measures whether it is up to the mark, but not so much the service sector, which ought to check how it stands against the rest of the world, said labour chief Lim Swee Say. 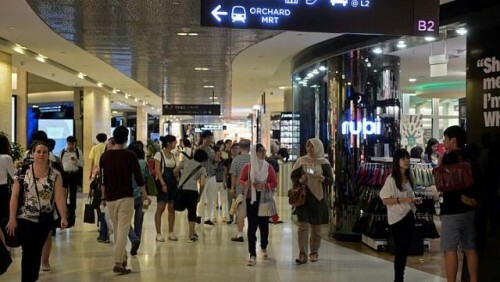 But at least the sector is starting to benchmark itself domestically, noted Mr Lim at a global conference on service excellence yesterday, citing a customer satisfaction index started by the Institute of Service Excellence in 2007. The index had its highest-ever score last year. "While we have improved, other countries are improving as well," Mr Lim, who is also Minister in the Prime Minister's Office, told reporters. As a result, he said, every sector in the industry has to step up and "be prepared to innovate and change". Employers and customers have a role to play too. "We want every employer to be a better employer, workers to be better workers, customers to be better customers," said Mr Lim, the secretary-general of NTUC. Mr Lim told the industry leaders, academics and policymakers at the conference at the Singapore Management University that manpower constraints are here to stay. Workforce growth will slow down from 3 per cent to 1 per cent a year between now and 2030. His advice to bosses of small and medium-sized enterprises? "If you're the only company having the problem that nobody else has, then you're dead," he said. "But if everyone has the same problem, then it's not a problem. It's a level playing field for all." Another keynote speaker at the event, SingTel consumer group chief executive Yuen Kuan Moon, said that on social media, the accounts of unhappy customers are more widely and rapidly shared, even if they are the minority. Asked if customer behaviour here can be improved, Mr Lim said what matters for service staff is not what is said online, but their interactions with customers. "It's not about the noisy minority or silent majority," he said. "At the end of the day, can we make the service contact experience a pleasant one for everyone?"